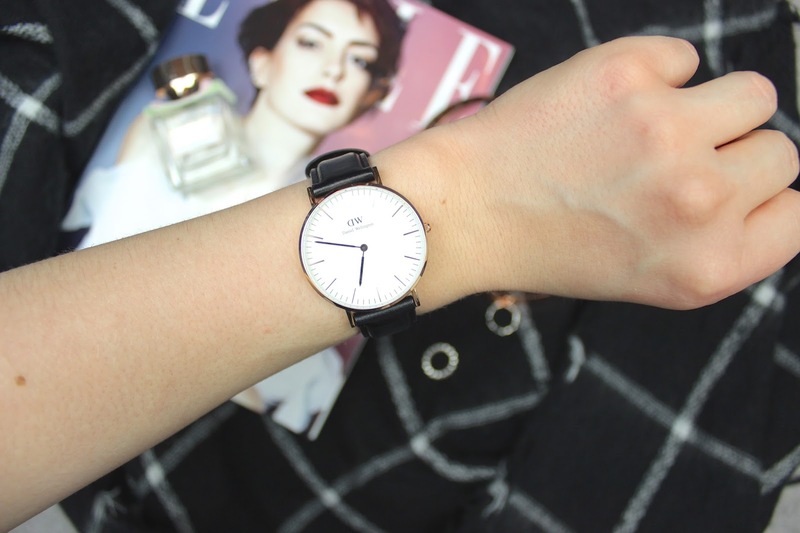 When I got an email from Daniel Wellington I got quite excited because I seriously love their collection of watches. I've seen quite a lot being featured on pretty Instagram accounts and across my favourite blogs so I jumped at the chance of having one of the beauties. I went for the Classic Sheffield Lady watch in rose gold because I thought it was the perfect face size and it just had to be rose gold because that's the prettiest in my opinion! I haven't taken this off my wrist since I got it as it's just so classic and lovely. The soft leather strap makes it super comfy to wear and it's not too big or too small! They are such beautiful watches! So gorgeous, love the strap! I've been looking for a watch like this for ages!